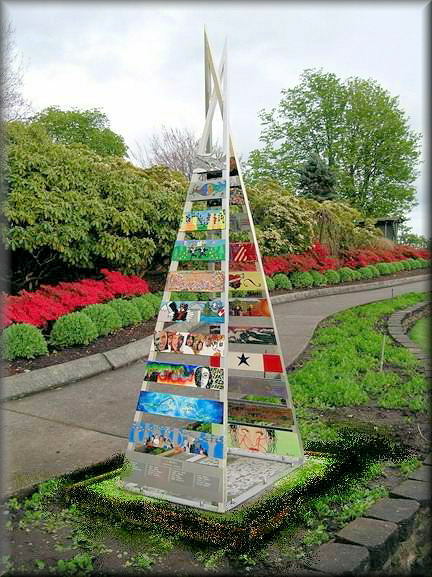 This sculpture, created in collaboration with 40 high school students from two countries, can be viewed at Peace Arch Park, on the border of Canada and the United States. This is the first sculpture of this kind to be followed by a series created collaboratively across Canada. The artwork is suitable for both outdoor or indoor public display. m "In Unity We Soar"
A portion of the proceeds from this sculpture will be donated toward programs in the public school system.